Tom Wishon 870Ti Irons have taken technology to the next level. They have a thin Titanium insert to give the best COR available in an iron today . 870Ti variable thickness titanium face increases the ability of the face to flex more to offer the same 0.830 COR as a driver. Variable thickness face also increases off-center face flexing for superb off-center hit performance. Find out more about best golf iron grips. 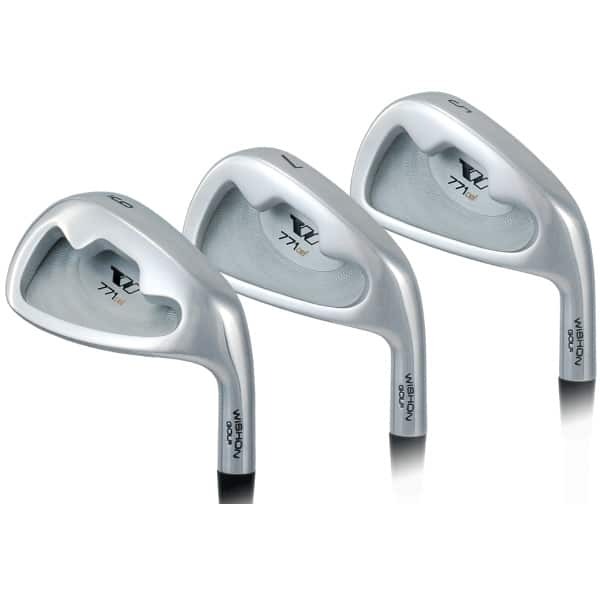 Buy a set of 8 irons of these exceptional irons at a special introductory price of $999. I will contact you to configure the irons to your optimum specifications.